Want to be notified of new releases in Mannilie/CPPGameEngine? 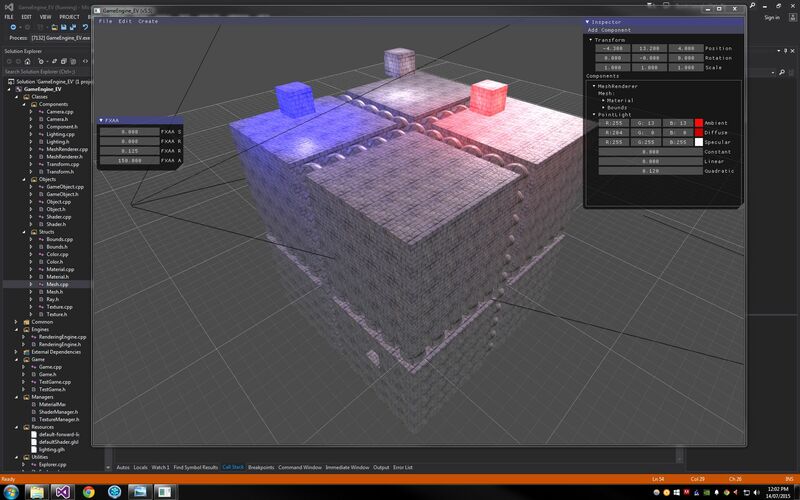 What started out as a mere PhysX engine turned into a tool for creating 2D & 3D games. The Game Engine was created using C++ along with OpenGL and has been one of my biggest projects! 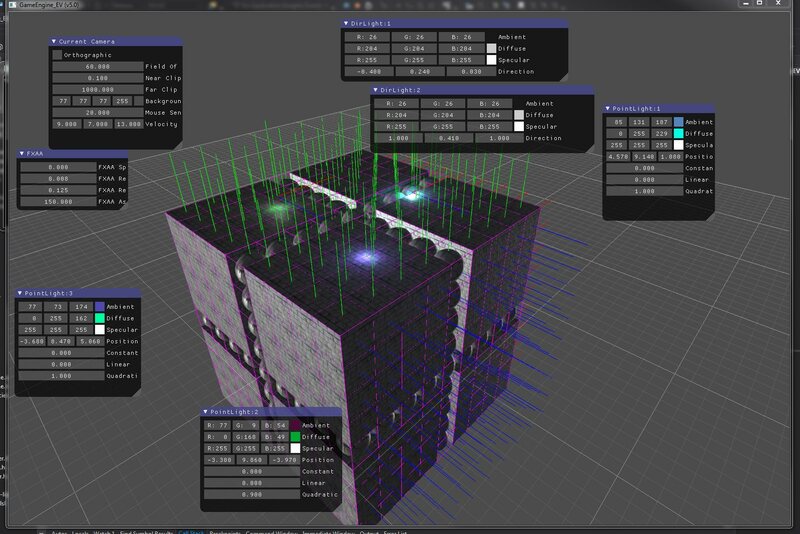 It uses a Component Object Model (COM) binary-interface standard, similar to Unity's and Unreal's in the sense that each Game Object in the scene contains a list of components. These components define many characteristics of that specific Game Object. By default, every Game Object created has a Transform component already attached which defines the object's Position, Rotation and Scale in the world. In order for a Game Object to actually appear within the scene, it needs to be rendered. The Game Engine is equipped with a subsystem known as the Rendering Engine. In order for this subsystem to work, it needs to have a Game Object with a MeshRenderer / SpriteRenderer component attached to it. This component must also have an appropriate Material with a Texture linked to it and the Game Object will render to the screen. The Rendering Engine doesn't just draw textured meshes / sprites to the screen. It is also in charge of handling complex post-processing effects using Shaders. 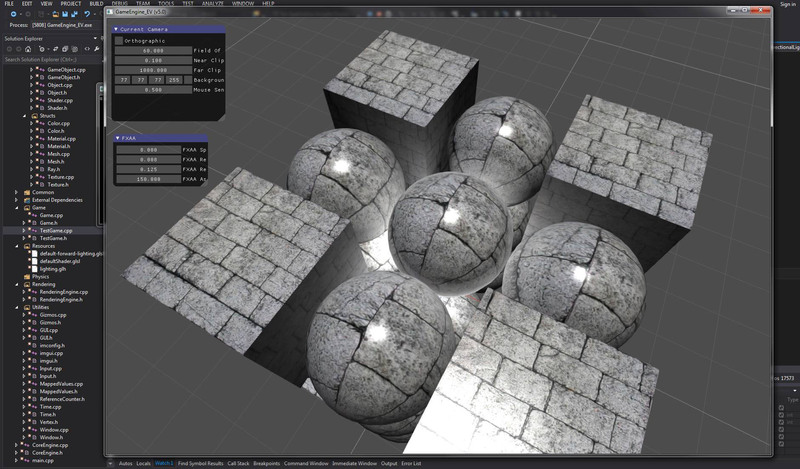 GLSL is the shader language this engine uses and one of the most significant post-processing effect implemented in the engine is Fast Approximate Anti-aliasing (FXAA) for smoothing jaggered edges on Game Objects. 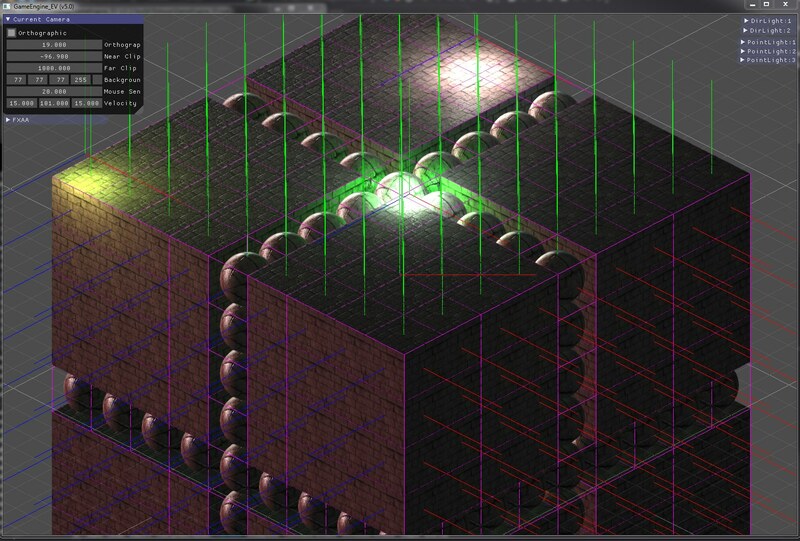 This subsystem is also handling various other rendering techniques. 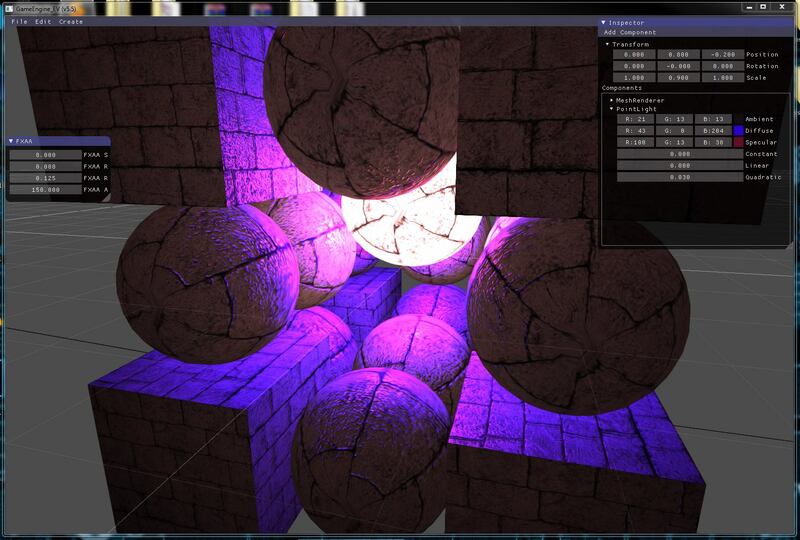 One of which is the Lighting System which handles the rendering of various types of lights in the 3D / 2D environment. The first is Directional Lights. Much like the sun, the directional light acts as a light that comes from one direction. Then there are Point Lights which are lights that radiate in all directions and has a certain position in space. Finally, there are Spot Lights that acts as a strong beam of light which illuminates only a small area where this beam is pointing towards.